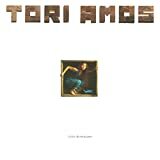 Sell your TORI AMOS items on eBay ! Only rarely do we have to opportunity to marvel at an artist filmed in the most dynamic moment of their infancy, and do so in the luxury of fantastic sound and picture quality. Usually, a high profile and quality DVD release is earned after an artist has "made it" and achieved a level of professionalism, for the good and bad that entails. But by chance of fate, here Tori is caught three months before the release of her debut, a virtual unknown outside of her circle, and with everything in the world to prove. She does not disappoint. The DVD contains two full shows. One from July 1991 which was before "Little Earthquakes" was released and one from July 1992 after it was. 1991 Show: This is the real jaw-dropping gem on the disc. The equivalent in some ways of Kate's Hammersmith video, even if the two artists are quite different in many ways. Here is Tori with boundless enthusiasm, wide-eyed energy, joy, incredible vocal prowess, and absolutely zero cynicism or weariness. While she was in her late 20s and already performing clubs for years, this was a break-out gig and she knew it. The jokes about inviting the audience to her living room to hear her play were barely jokes, at this point she was more used to that than she was the stage of a major festival. She was a supporting act for Moody Blues here at Montreux, and you'll hear the progression of the scant courtesy claps she gets at the beginning to the sincere appreciation she has by the end. She seems actually surprised that she was called back for an encore. The performance is drop-dead stunning. Amazing. Fresh. Filled with life, vigor, and passion. Yes there is a touch of naivety to the performance but that is part of the pleasure. She has not yet developed the "skin" of fame. Nothing is yet glossed by the professional sheen that eventually forms on all famous artists to varying degrees, despite their best intention to remain completely eye to eye with their audience. I had goosebumps throughout this set as she freaking soared vocally, just killing every note, oozing passion and the joy of music from every pore. Her piano wailing is so filled with character and personality that it never matters that she doesn't have a band. Every single track is a highlight but I most enjoyed "Precious Things," "Upside Down," and "Winter." Even when she blows her own lyric in "Happy Phantom" she reacts with pure charm and in 10 seconds the audience had forgotten the mishap. There are great concert performances which happen quite often, and then there are moments of pure magic accidentally captured, which are quite rare. This DVD falls into the latter category and for the first show alone this is worth the price. But alas, you get two Montreux shows for the price of one! 1992 Show: The irony here is that much is the same while so much has changed. The venue and feel are the same and the set list is very similar. But a year of work and plenty of gigging gives us a different Tori. And not a better one I would argue, although the sophistication of later albums would be worth the compromise of her "growth." The musical and performance innocence and joy of the first show have evaporated noticeably. Tori comes off just a bit more sullen, perhaps more cynical, the complete intimate openness of the 91 show covered a bit by the performance "skin" mentioned above. Before the first song is half over she has stopped playing to lecture people in the audience who were talking. While she was warmly received anyway it was telling, and fit her more guarded delivery of the set. She loosened up a bit and the show still contains some truly memorable moments, especially in her playing. Technically Tori has only improved with the additional experience and her piano playing is just unbelievably superb. 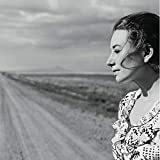 The presentation of the Little Earthquakes material, as well as some Zeppelin and Nirvana covers, are rapturously delivered with piano playing that is so nuanced and expressive she is able to make you oblivious to the fact there is not a single musician standing behind her. One woman, one piano, and you'll never need anything more. She has a better piano here and more technical skills, and the show is still a fantastic document of Amos in her prime, between Little Earthquakes and Under The Pink. While I would rate the 1991 show with 5 stars, this one perhaps would be 3 ½ to 4 stars. It's fantastic, but with less of the pure spark that first show had. As they are presented together it is very easy to spot the difference. 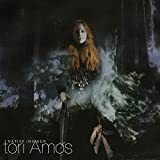 Conclusion: If someone is new to Tori Amos and wants to know how to begin with her, I recommend buying this DVD along with "From the Choirgirl Hotel." Those two items would be my Tori Amos starter-kit. Next would come "Pele." If someone already enjoys Amos to any degree, this DVD is an essential purchase. You will get to see her in the midst of her big bang. 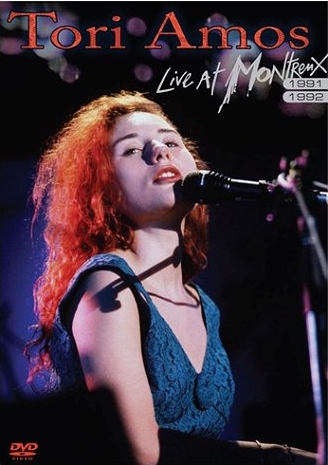 Post a review of TORI AMOS "Live At Montreux 1991/1992"